(Newser) – The news about Zika virus just got a bit worse: Researchers in Brazil have found that a more common mosquito than previously thought can carry the virus, which may hamper efforts to stop its spread. 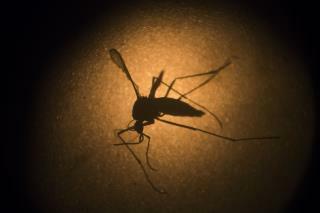 The primary transmitter of Zika, which has been linked to birth defects and other maladies, is a species called Aedes aegypti. Now, scientists in a lab have been able to infect the Culex quinquefasciatus mosquito—a more prevalent species, the Guardian reports. Whether or not Culex quinquefasciatus, which is 20 times more common in Brazil than the other species, can actually transmit the virus is still unclear. Scientists injected the mosquitoes with rabbit blood infected with Zika. The virus made its way to the insects' salivary glands, which means transmission to humans may be possible. This much more common mosquito can carry the virus, and it made it's way to the insects' salivary glands, that are injected into people that the mosquito bites.....But it's not clear whether it can transmit the virus to humans. Well.....I'm not a scientist, and I didn't stay at a Holiday Inn Express last night, but I bet I can answer this question. Duh, what do you think? I guess we are gonna have to hang No-Pest Strips and bug zappers on Trump's wall....if the new Wisconsin disease doesn't get us first.